Assignments are good for us. They make us do things we wouldn’t normally do. It’s why we like book clubs; we end up reading books we wouldn’t normally read. After not really enjoying the last book I read by David Mitchell, I was not too thrilled that my next reading group read was another one written by him. But this assignment did not disappoint. 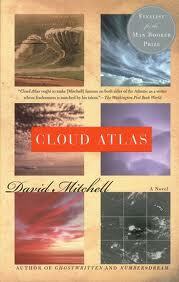 Cloud Atlas is good! Cloud Atlas is a unique novel comprised of 6 novellas. Six little stories arranged in a nesting doll sort of fashion. Each story is interrupted and a new story begins, except the last one. It has an ending and then the rest of the stories get finished, one at a time. The first is historical fiction from the 19th century and consecutive ones move forward in time. The characters in each story “find” the previous story somewhere, sort of like finding a diary or seeing the movie. I found it helpful to see the stories mapped out on Wikipedia before reading them. There are no spoilers in this link. Cloud Atlas was well done and I enjoyed most of it. I was tempted to skip to finish the other half of the stories right away when they got interrupted, but I resisted. It is better that way. The first story actually stops mid-sentence, so don’t think a page is missing from your copy! I do have a confession to make though. I did not read story number six. It was written in a difficult dialect and I couldn’t manage it. One sour note in an otherwise intriguing musical piece can certainly be overlooked. Apparently there’s a movie adaptation coming out in 2012 starring Tom Hanks and Hugh Grant! In the late 1700’s Japan’s only connection with Europe was around trade that took place on Dejima, an artificial island on Japan’s doorstep which was essentially a collection of warehouses built by the Dutch mercantile empire in Nagasaki Bay. No matter how intriguing this historical time period was, despite an adventure in the middle and a few other interesting twists and turns, I found parts of this book a real slog. It was necessary for me to do some research on Dejima (Wikipedia) to even make a start and be able to understand what was going on. Jacob De Zoet is a Dutchman who finds himself far from his Dutch fiance on the island of Dejima and falls in love with a Japanese woman. The naive accountant is surprisingly clever at dealing with tricky cultural issues and crooked sailors. His honest approach somehow results in career achievements which are brilliant in a place where survival was not easy. Some of the descriptions of early surgical practices are visceral and the ‘nunnery’ where Orito ends up is horrific. Jacob De Zoet is not a character you will soon forget even though his Dutch cronies and Japanese translators were actually so non-descript after awhile, that I lost track of who was who (but it didn’t really matter). If you are a great lover of historical fiction, this would be an excellent book for you. If you want an engaging captivating read, you might want to take a pass. 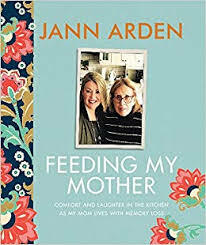 I would put this book in the “lost opportunity” category. He had a great thing going with the story, the characters, the setting, and the adventure, but it’s too bad it got so boggy because it could have been a blockbuster. If you are good at skimming over bogs and finding the solid nuggets, by all means give it a go. There are plenty of really great parts too. 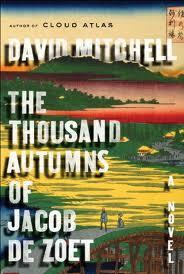 Mitchell is a famous author and there is genius in the writing. I am actually glad I read it for when the movie comes out – it would make a great Pirates of the Caribbean type film!